Why Are VCs So Scared of Hospitals? 3. Hospitals are complex political environments with many forces that influence decision making and purchase behavior that seem counter to rational business judgment. Those who decide, those who approve, those who pay, use, benefit from, can all be different roles in the organization. 4. Sales cycles are very long, often measured in years. 5. Hospitals are technology laggards when it comes to adopting information technology. 6. Hospitals are dominated by large technology vendors such as GE, Cerner and IBM. There is some truth to each of these, but here’s the counter argument that led us to make a second investment in the hospital market, namely Awarepoint, an indoor GPS system for tracking people and assets in the hospital. 1. There are lots of hospitals. Over 5500 in the US alone, and there are little blue signs pointing you to each of them. Given the annual budgets of your typical hospital, this translates into a very big market. Vocera now serves over 650 hospitals and more than 450,000 daily users, and is still growing very rapidly, believing they have tapped less than 10% of their core market opportunity. 2. Hospitals are sticky. Once your product is adopted, and assuming it works well, they are reluctant to switch you out because solutions get so enmeshed in different processes and systems, and so many employees get used to them. You can’t screw up, or raise prices dramatically, but you may not have to sing for your supper every time a competitor issues a press release. 3. Hospitals are willing and able to spend on IT if it is a priority and they see an opportunity for a large return on investment. This is one of the things helping Awarepoint penetrate the market, and they are not alone. Companies like Allocade , which creates dynamic patient itineraries to improve throughput, are also having success based on the ROI they can deliver. 4. Because hospitals are underpenetrated by information systems, there is lots of low hanging fruit and relatively basic problems to be solved. Electronic Medical Records vendors are having a field day, both because of stimulus incentives but because many hospitals, especially the 72% of all community hospitals with under 200 beds, still don’t have this basic form of digitizing their information. The trend towards Accountable Care Organizations, and the related financial incentives, will require greater clinical integration of care across health care settings (inpatient, ambulatory), greater financial efficiency, and increased transparency and flow of information about the process, costs, and outcomes of health care, all of which will require better healthcare information technology. 5. 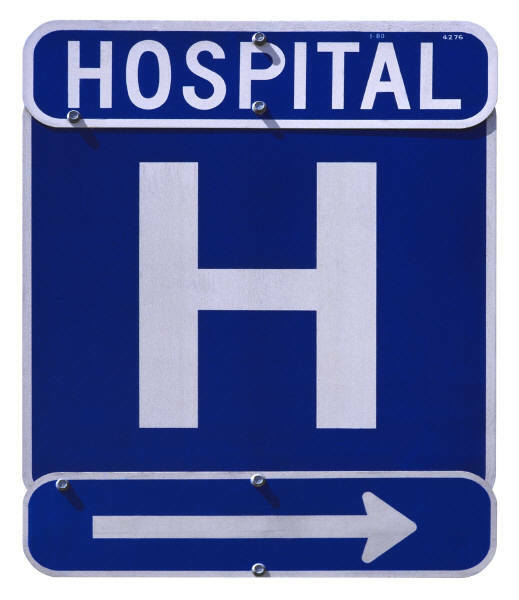 Hospitals are similar to each other and willing to serve as references to each other. Yes, they do compete in some ways, and each has its unique attributes, but you find a higher degree of collegiality and similarity than most industries where competitors hate each other and each may have very different ways of doing their core activities. 1. Hospitals are feeling financial pressures to run efficiently. With healthcare reform there will be more patients coming in their door requiring services, while price caps will get tougher. And there will be financial penalties for things like readmission rates that often correlate to operating inefficiently, and which technology can help prevent. 2. With the EMR mandates and installations, the Chief Information Officer is now in an elevated position in the organization and even considered a revenue generator. Many EMR installation projects are leading to ancillary projects and opportunities to automate and digitize other aspects of hospital operations. 3. New IT paradigms like cloud based services, open data initiatives (thank you Todd Park @ HSS), APIs, and Open Source means that it is less expensive to build and deliver better products into the hospital. 4. Wireless technologies, and relatively cheap and robust devices like iPhones and iPads, make it easier to reach caregivers on the go, whether nurses at the bedside or Doctors on the golf course. Companies like AirStrip are getting real-time info to the caregiver wherever they are, and caregivers love it. Also, WiFi and Zigbee in the hospitals means your equipment and monitors, and even staff, can transmit their info from wherever they are without wires and expensive, disruptive installations. 5. This current generation of Doctors and are used to technology in their personal lives. They use email, carry iPhones and Blackberries, shop online, etc. And the residents entering hospitals today are Digital Natives. There will be an increasing expectation that hospitals adopt these technologies that most other verticals have embraced. While we fear the unexpected visit to the hospital as much as anyone, Venrock is looking forward to more investments in companies that serve them with compelling HCIT solutions. –there is a scarcity of public company HCIT equities for buy-side investors to put their money to work. Of the $1.7T equity value of all healthcare stocks, only $32B is associated with HCIT equities. We think this makes any company that reaches IPO scale and profile (growth, profitability, etc) one that will be greeted with above average valuations. –195,000 people die per year unnecessarily due to errors in the complex health care process. 70% of these errors occur due to communication errors and 50% of those occur during shift change or departmental transfers when patients are “handed-off” from one caregiver to another. Hi Brian, I agree that your assessment of hospitals is spot-on–a real mixed bag from a market opportunity standpoint. However, I think the “tipping point” on this opportunity has come with the clear and measurable financial penalties hospitals are now facing that forces them to use IT to improve operations. The advent of never events regulations that eliminates payment for mistakes and the directly applicable cuts in reimbursement compounded by the assumption of readmit risk are the true catalysts for action at the hospitals, I believe. As always, follow the money. The good news is that there is a lot to work with there since the hospitals have gotten so far behind the rest of the country’s industries in IT adoption. Our VC firm definitely considers this a market worth pursuing when you can identify products with economic returns that are tangibly measurable by the hospital CFO/CEO. I totally agree. The readmit and mistakes issues are huge motivators. And the good news is that smart use of information technology can chip away at these problems as they are often problems caused by miscommunication and misinformation at their core. As someone that previously worked in healthcare IT and with both large and small hospitals, I can say that a lot of these points are spot on and I think the industry is ripe for disruption. I’m certainly optimistic about the role of more tech/mobile-minded companies entering the healthcare IT market, but wonder whether there is enough potential for a large IPO or whether we’ll just see smaller acquisitions by the existing giants. Do you have any thoughts on that from a VC perspective? I’m sure M&A will be the dominant exit mode for most HCIT startups, as in most other industries, and I certainly hope there will be lots of this activity. Given the number of interesting start-ups innovating, customer activity increasing, fierce competition and consolidation among the big incumbents, and overall interest in the sector, seems like there are many forces that will drive more M&A activity. I really do believe there will be a handful of big IPOs in the space. athenahealth was one of our investments that is now public, and Accretive Health is even more recently public and was only founded in 2003. eProcrates is on file for an IPO, and I think you’ll see others file next year. The market size is there, and from the buy-siders I’ve spoken with, the demand for high growth pure play HCIT companies seems to be there too to fill the current void. It’s really just a matter of there being a supply of really good companies that want to go public. I hope we can fund a few.